Home > News > A top chef is returning to his roots to share with students what it’s like to work with the best. A top chef is returning to his roots to share with students what it’s like to work with the best. Posted on 1st October 2018 at 11:39 am. IAN Lamming catches up with him at his celebrated North Yorkshire restaurant. IN the middle of nowhere, down beautiful country lanes, nestling in a tiny village, a traditional Yorkshire pub attracts global attention. From the outside, a little shabby chic from the kerb perhaps, there is little to hint at what lies within. According to the critics, it is simply the best and foodies from around the world wait up to eight months to sample its hallowed menu. When owner of the Black Swan, Oldstead, Tommy Banks twice won the Great British Menu then topped it off with the Trip Advisor best fine dining restaurant in the world accolade, the bookings flooded in. More than 90,000 people visited the website and 15,000 booked a table. Eighteen chefs now slave over not-so-hot induction hob stoves seven days a week serving 50 covers a day, featuring £110 per person 14 course tasting menus, fusions of traditional Yorkshire fare grown in the back garden’ locally sourced meat and fish, all with a Nordic twist. Launching a cook book, being featured on the CNN food network and picking up the Food and Travel Awards prize for best restaurant outside London and in the country won’t help availability with bookings now stretching to the end of March. But according to former Darlington College student Sean Wrest, the Black Swan experience will be worth the wait. Now 27, the affable Yorkshireman has returned to his beloved county to continue his passion for food. After attending Leyburn County Primary School and Wensleydale School and Sixth Form College, where he studied A Levels in RE, history and law with a view to joining the blessed police force, he began working as a pot washer at the Wensley pub, which stimulated his taste buds and resulted in an apprenticeship with the well-respected Sandpiper. Off to Darlington College as a professional cookery apprentice, he secured his Level 2 and 3 qualifications, his tutor Dawn Cobb-Neate remembering him as “a great student who thoroughly enjoyed himself”. Three years at the Sandpiper Inn under the watchful eye of chef patron Jonathan Harrison proved to be the perfect training for his next post, an internship at the renowned Fat Duck in Bray, the triple Michelin star restaurant owned by Heston Blumenthal. Back to the North for a spot of Yorkshire air, he took up a position at Yore Bridge House, Bainbridge, before honing his craft at the chic fine dining restaurant Maaemo in Oslo. 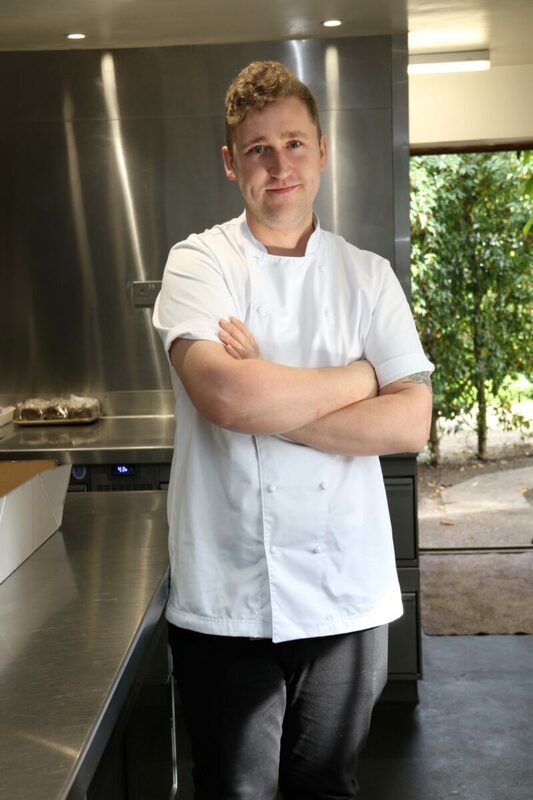 Today Sean is senior sous chef at the Black Swan – that’s third in line behind the proprietor Tommy Banks and head chef Will Lockwood – while his girlfriend Sam Haigh runs front of house. Sam also studied at Darlington College but to gain a uniformed services qualification. They met at Yore Bridge House and as a result she has switched to the restaurant trade and worked her way from the bottom to her current role at the Black Swan, where they were offered jobs after dining there together one night. Sean and Sam will both return to Darlington College on November 15 (FULLY BOOKED) and fine diners at its Glasshouse restaurant are in for a treat, as are the catering students who will help to present a fine dining experience to remember. “I didn’t want to just produce a carbon copy of the Black Swan menu and really enjoyed putting this together for the college,” Sean explains. “I love fish and shellfish and at the Black Swan we have a massive garden which we harvest. We also go foraging for ingredients and do a lot of pickling, preserving and fermenting, which is where the Nordic influence comes in. “We can take humble ingredients and flip them on their heads. It is so clever. We grow our own sweet corn and because of the way the sugars work, we pick, prepare and serve it within 20 minutes to maximise its sweetness. We look at the way it was done in the olden days. Tommy’s family come from farming background so it comes naturally to him. I find it mind-blowing.